As America delivers an aggressive message by marching the USS Carl Vinson to the Korean peninsula, North Korea gets ready for a "nuclear" strike on any aggressor. Korean War 1953 : With the end of the Korean War in 1953, the Korean peninsula got divided into two – North and South Korea. Since then, the two Koreas have diverged dramatically, with South Korea developing rapidly into a successful democratic state whilst the North has continued to be ruled by a hard-line communist dictatorship – the Kim family (grandfather Kim Il Sung, father Kim Jong-Il, and now the son Kim Jong-un). 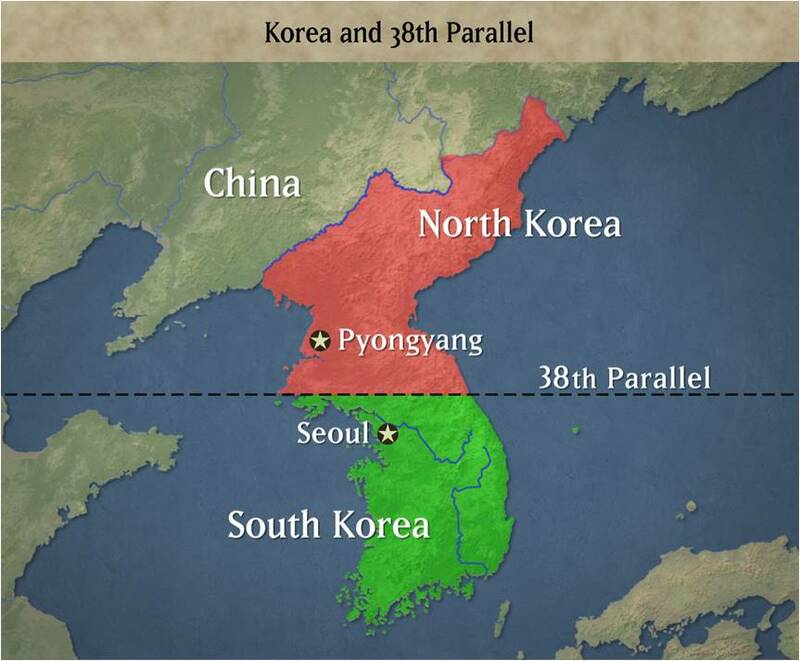 Today’s tensions : Tension is steadily rising in the Korea peninsula. The US has been accusing North Korea of escalating tension in the region. During the recent meeting between US President Donald Trump and Chinese President Xi Jinping, the US asked the Chinese President to do more to rein in North Korea as China is the closest ally of North Korea. But since China sees the US as a strategic rival, it is unlikely that China would do so. 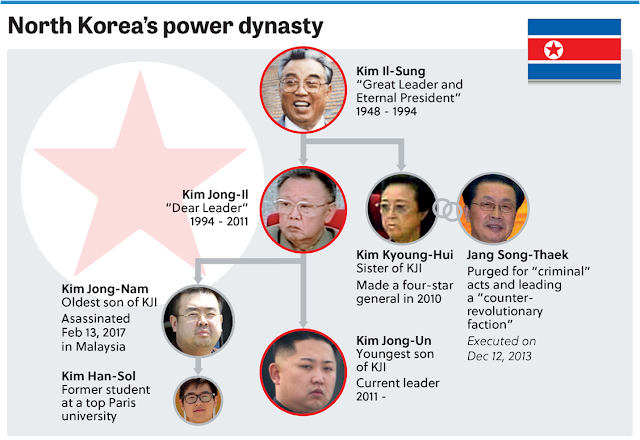 China’s headache : China is the only nation that has some influence over the Kim regime. 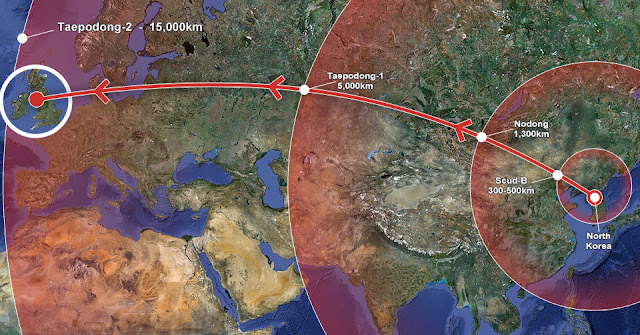 But China does not want to deal with a likely rush of refugees in the event of the collapse of the North Korean regime. It would also not want the US and South Korea to come to its doorsteps. US insistence : However, it appears that the US wants to keep all its options open to get North Korea to abandon its nuclear programme. Strict sanctions have also been imposed on the country, but it still remains defiant. The American show of force is likely to harden North Korea’s resolve to pursue its nuclear programme. US military activity : The US has already started deploying the THAAD anti-missile defence system in South Korea. Recently, the US took the decision to send a naval strike group to the region. 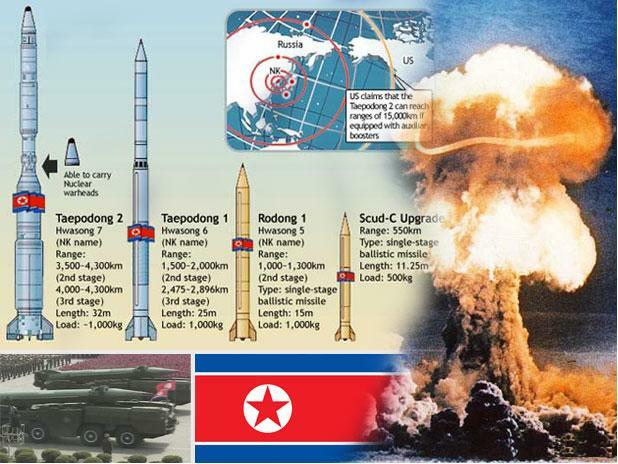 Reacting to the US decision, North Korea has warned of a nuclear attack on the US at any sign of American aggression. Kim remains insistent too : North Korea has already conducted five nuclear tests, and used the threat of force against South Korea and Japan as an effective bargaining tool. Kim Jong-un has repeatedly threatened to hit American mainland with nuclear missiles if provoked. Recent : Again on April 11, 2017, North Korean monitoring service 38 North said that the country's Punggye-ri nuclear site is ready for a sixth nuclear test. Japanese Prime Minister Shinzo Abe said that North Korea may have the capability to deliver missiles equipped with Sarin nerve gas.